Maker of award-winning ESET NOD32® technology maintains its ranking in the Endpoint Protection Platform market based on 2015 total market share revenue Worldwide. Despite market conditions stagnating, ESET‘s rank in the market has remained stable. As reported by Gartner in Gartner Market Share: All Software Markets, Worldwide, 2015 report*, the whole security software market grew by only 3,7%, growing from $21.3 billion in 2014to $22.1 billion in 2015. ESET maintained its No. 5 position also in 2015, with a market share of 5.8 % in the consumer security software and endpoint protection platform (enterprise) subsegment**. ESET recorded the best results in its core segment - business. According to Gartner the Endpoint Protection Platforms market remained flat in 2015 at $3.2 billion. ESET managed to grow by 2,4%, maintaining its No. 4 position and increasing its share in business market to 8.9%, from 8,7% in 2014***. "We‘re happy we be ranked No. 4 in Endpoint Protection Platforms (Enterprise) market in 2015 despite the fact that the whole business market remained flat," said Ignacio Sbampato, Chief Sales and Marketing Officer at ESET. "We‘re seeing an increase demand for ESET products from business customers of all sizes, who are looking for an easy-to-use but powerful endpoint protection platform with support for the most used operating systems." 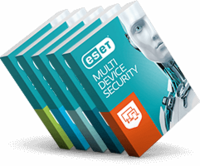 Next generation ESET Security Solutions, introduced early in 2015, provide customers with cloud-augmented, proactive multi-layered protection that is non-disruptive****, multi-platform*****, easy-to-use, effective and fast. ESET endpoint security comes with globally recognized high-quality support and customer care in your local language(s)******. To learn more about ESET home and business products, please visit www.eset.com. ****ESET has the lowest false positive track record of any vendor, according to AV-Comparatives and AV-TEST. ******ESET supports 30+ languages in its software solutions, and provides support in more than 50 languages via local teams in dozens of countries around the world.